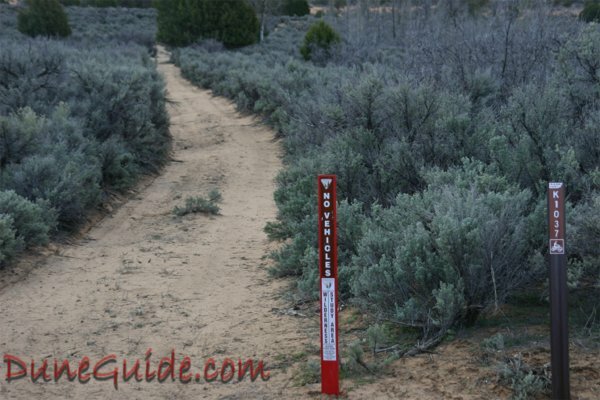 What is a Wilderness Study Area (WSA)? 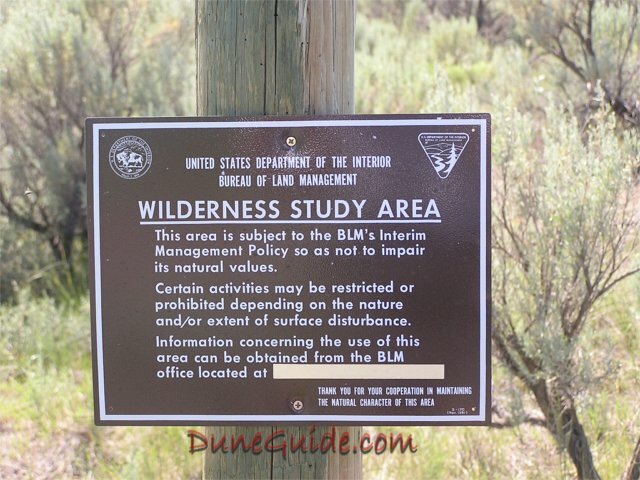 Well back when Congress created the Wilderness Act in 1964, they sent the BLM and other federal land agencies off to find where all the potential Wilderness Areas lied. All of these areas were declared WSAs and were intended to be short-lived designations that give the appropriate government agencies an opportunity to determine whether to recommend to Congress that land be officially designated as a permanent Wilderness Area. During this “study” period, federal agencies must protect them as if they were Wilderness Areas. Once the federal agency determines suitability (if they ever actually do) Congress then needs to take action to either designate or release the area. Well, when Congress thought up the Wilderness Act, they never factored in what to do with WSAs that didn’t get designated as Wilderness (this perpetual study of an area simply leaves land closed off to human use without congressional approval). Amazingly, 665 such designations, covering nearly 23 million acres, exist in 18 states. 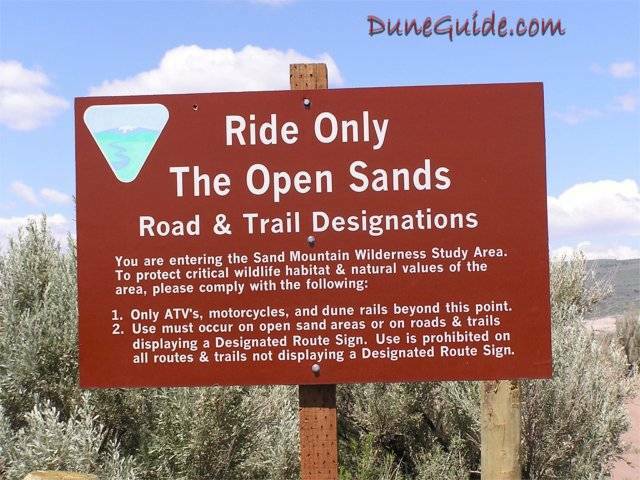 All of the Wilderness Study Areas at these dunes were determined by the Bureau of Land Management to be not suitable for designation as Wilderness. But until Congress either affirmatively designates or expressly rejects a particular WSA for wilderness preservation, the FLPMA mandates that the BLM "shall continue to manage" the WSAs "in a manner so as not to impair the suitability of such areas for preservation as wilderness." 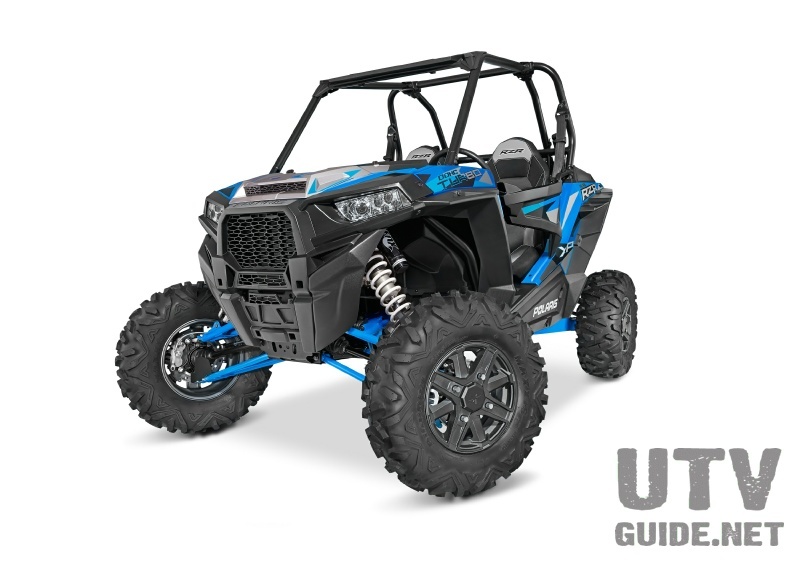 How can a WSA impact your ability to ride? And the battle didn't end with the Supreme Court. SUWA is still fighting to get the Moquith WSA to be designated as Wilderness. 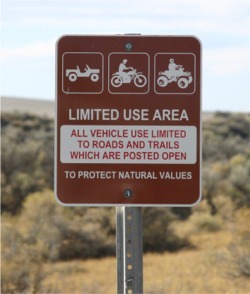 And the BLM has been closing trails and limiting camping (and may completely close) camping at the meadow. Contact your members of Congress and ask them to support a Wilderness Study Release bill so that WSA's are not left in limbo forever. You can also send Congressman Otter (HR 1153, HR 4620) a letter asking them to reintroduce their WSA release bills. a. Christmas Valley (Sand Dunes WSA, 6440 acres) - Congressman Walden - sample letter. d. St. Anthony (Sand Mountain WSA, 21,000 acres) - Congressman Simpson - sample letter. House Write Your Rep online service. Please note: If you do not live within their district, you must use US mail or Fax. Your letters don't have to be long. 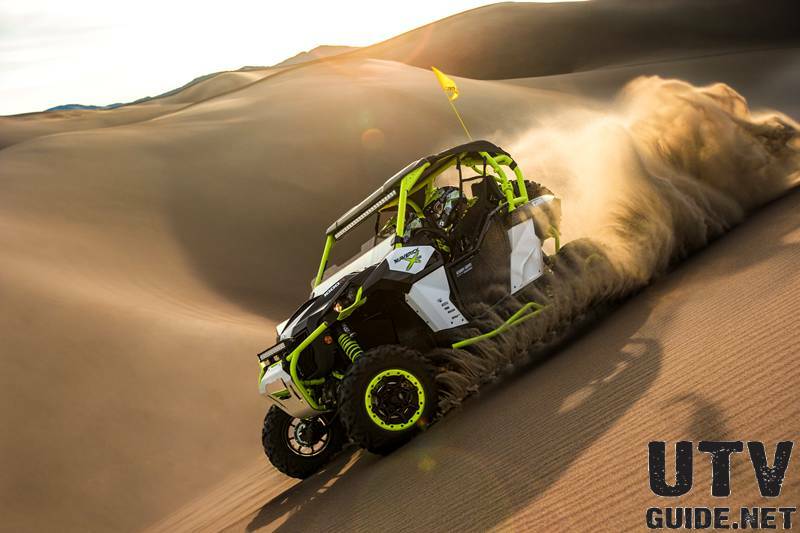 Just tell them that you and your family enjoy using OHVs at a particular dune, and that you are concerned about the impact of the WSA on future access. Ask them to author a bill that would release the particular WSA. Simple. 4/15/2011--Introduced.Wilderness and Roadless Area Release Act of 2011 - Releases public lands administered by the Bureau of Land Management (BLM) pursuant to the Federal Land Policy and Management Act of 1976 that have not been designated as wilderness and identified by BLM as not suitable for designation as wilderness from further study for wilderness designation. Makes such lands no longer subject to the Act's requirement pertaining to the management of wilderness study areas in a manner that does not impair suitability for preservation as wilderness. 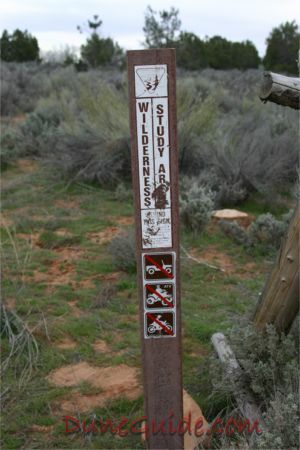 Releases inventoried roadless areas within the National Forest System that have not been designated as wilderness and were not recommended for designation as wilderness as a result of the second roadless area review and evaluation program (RARE II) or the subsequent revision of a land resource management plan, from further study for wilderness designation. Makes such System lands no longer subject to management to maintain roadless character and values and to comply with other land-use restrictions of the Roadless Area Conservation Rule, as amended by the Roadless Area Conservation Final Rule (2001) and the State Petitions for Inventoried Roadless Area Management Final Rule (2005). Wilderness Act of September 3, 1964's definition of "wilderness." 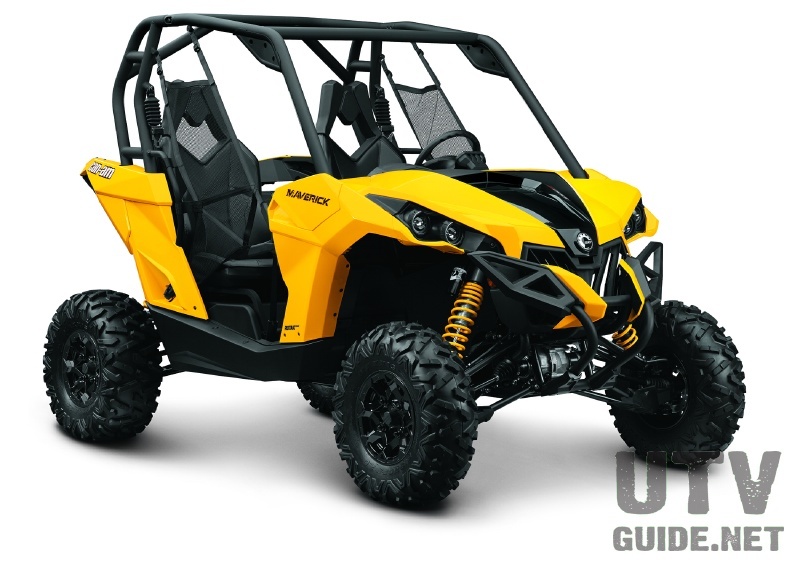 See 43 U.S.C. 1782(a). That act, in relevant part, defines "wilderness" as an area of undeveloped Federal land retaining its primeval character and influence, without permanent improvements or human habitation, . . . which (1) generally appears to have been affected primarily by the forces of nature, with the imprint of man's work substantially unnoticeable; (2) has outstanding opportunities for solitude or a primitive and unconfined type of recreation; (3) has at least five thousand acres of land or is of sufficient size to make practicable its preservation and use in an unimpaired condition; and (4) may also contain ecological, geological, or other features of scientific, educational, scenic, or historical value.